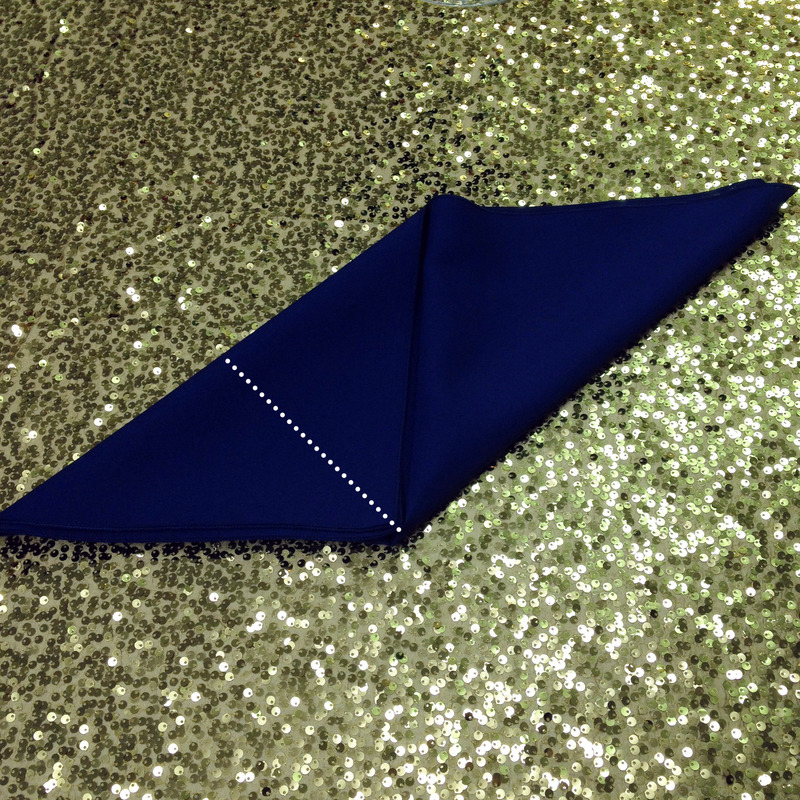 Thanks for stopping by the Beyond Elegance Blog! 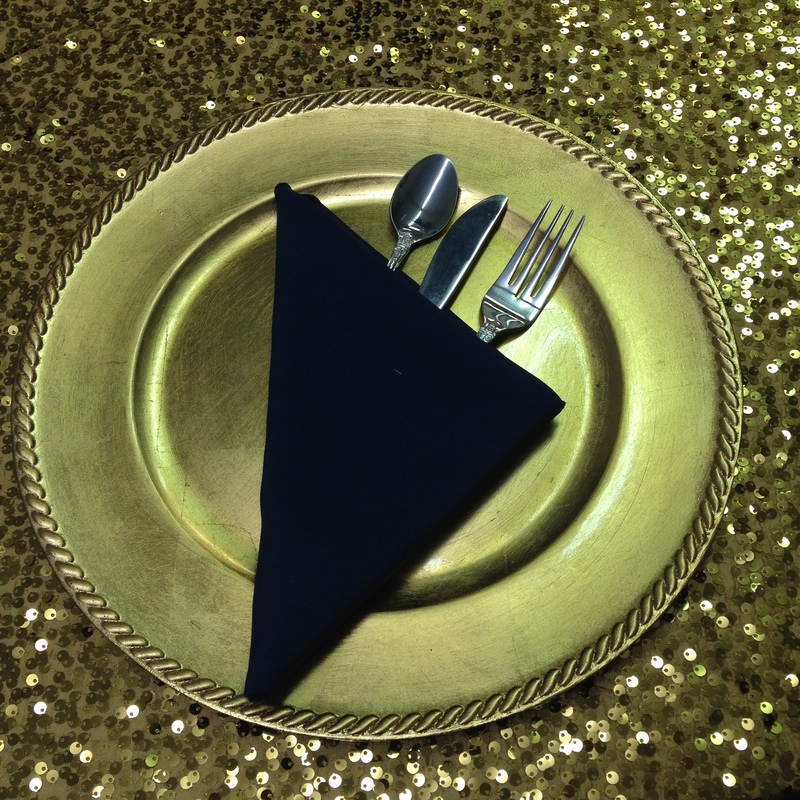 A blog designed to help you make your special day 'Beyond Elegance, yet not beyond your budget'. 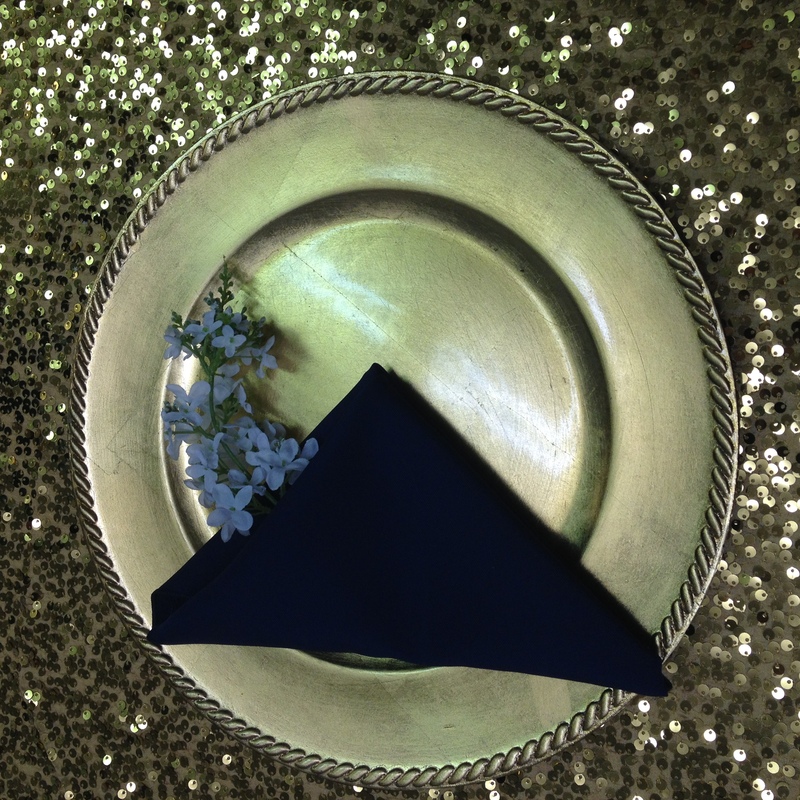 Here you will find the lastest wedding trends, decorating tips, table scaping and much more. 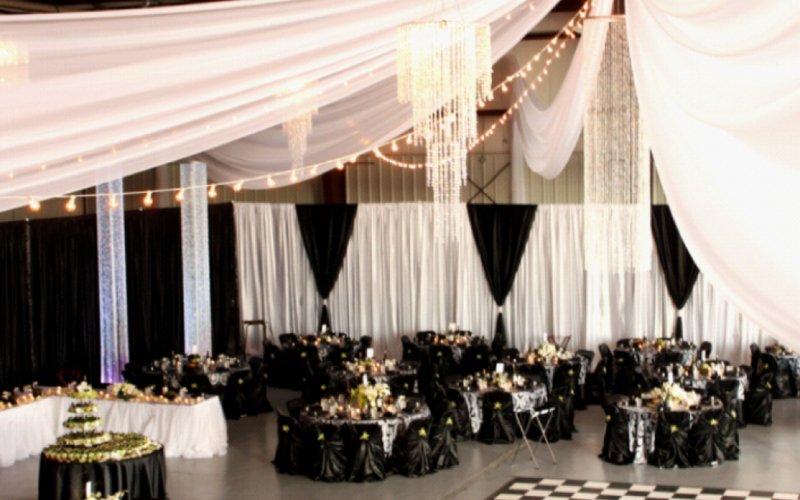 Follow us as we strive to make your event 'Beyond Elegance'! 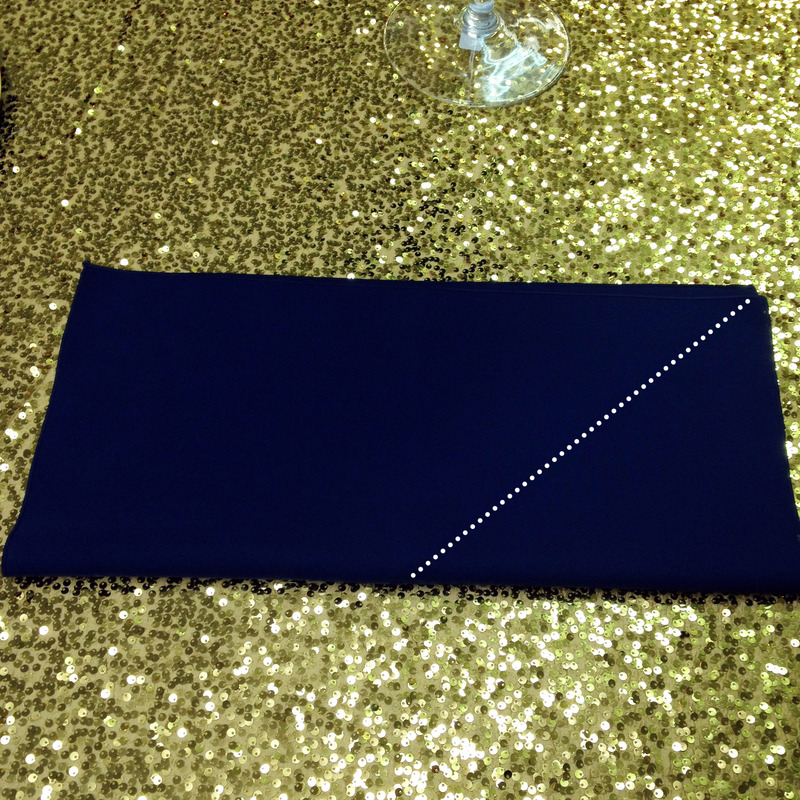 Here’s a simple napkin fold for any event. 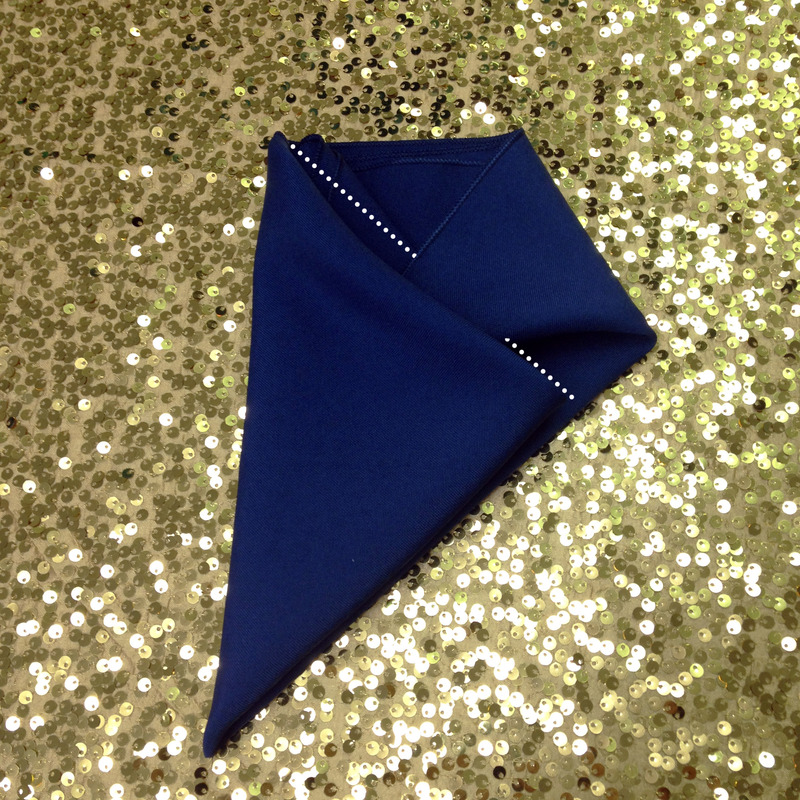 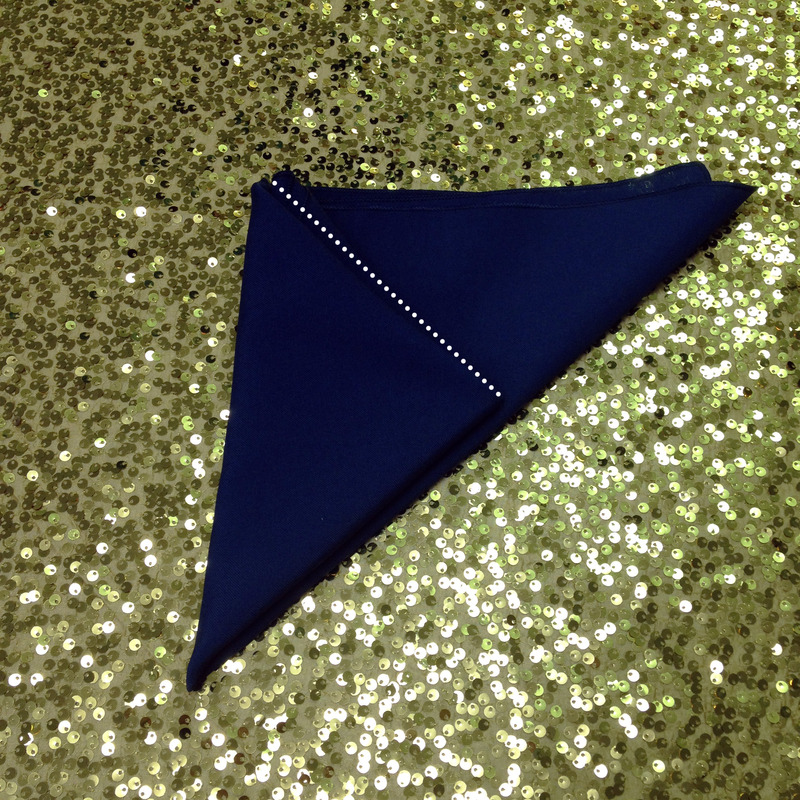 The Triangle Pocket Fold leaves a clean, finished look and can be used in many different ways. 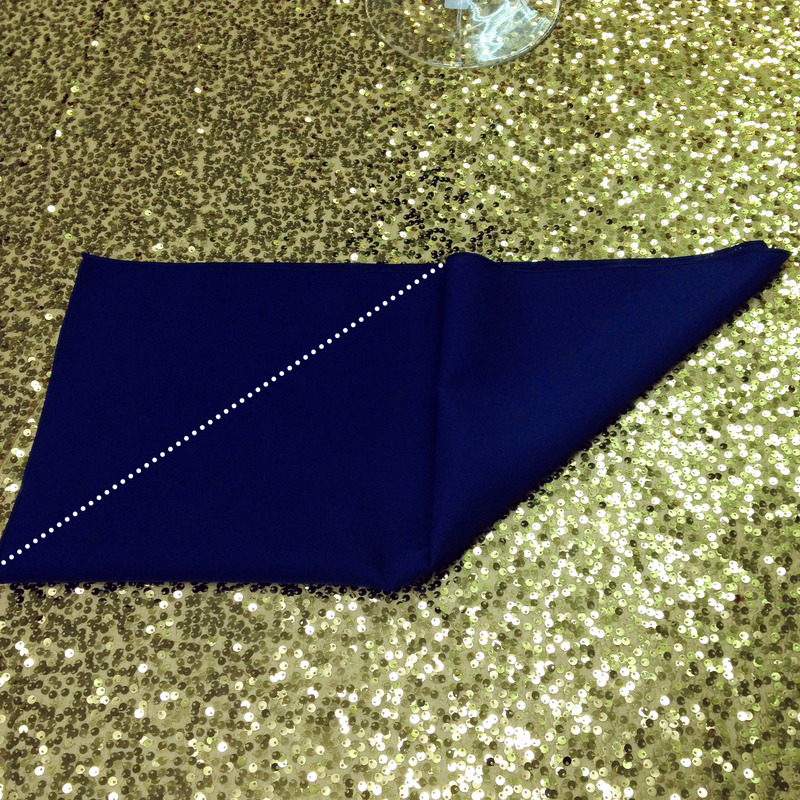 The pocket can be accented with flower, a menu, or even hold the silverware. 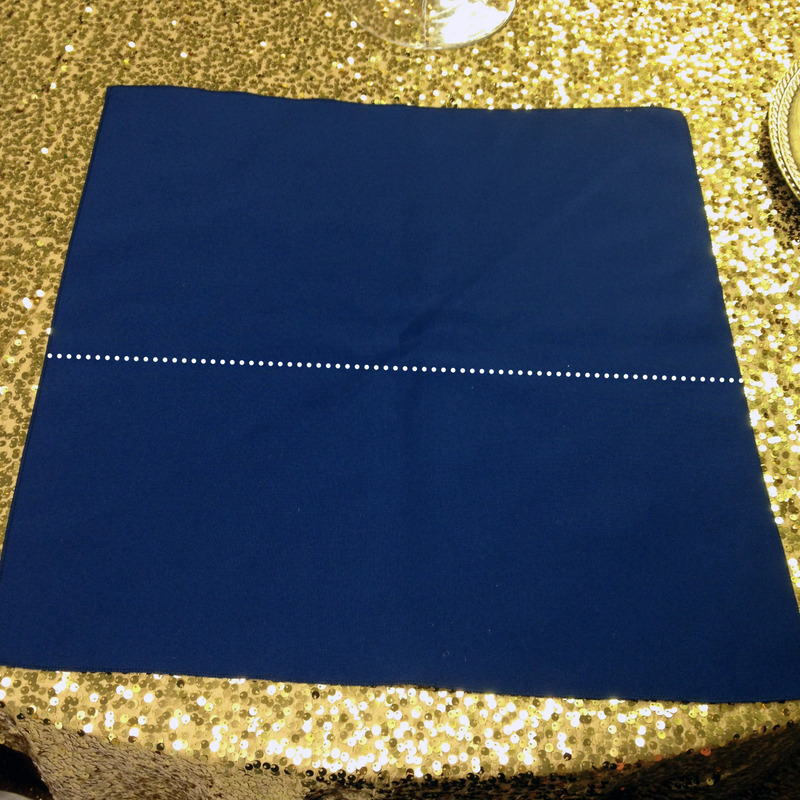 To start you need one of our 20×20 Solid Polyester or Satin Polyester Napkins. 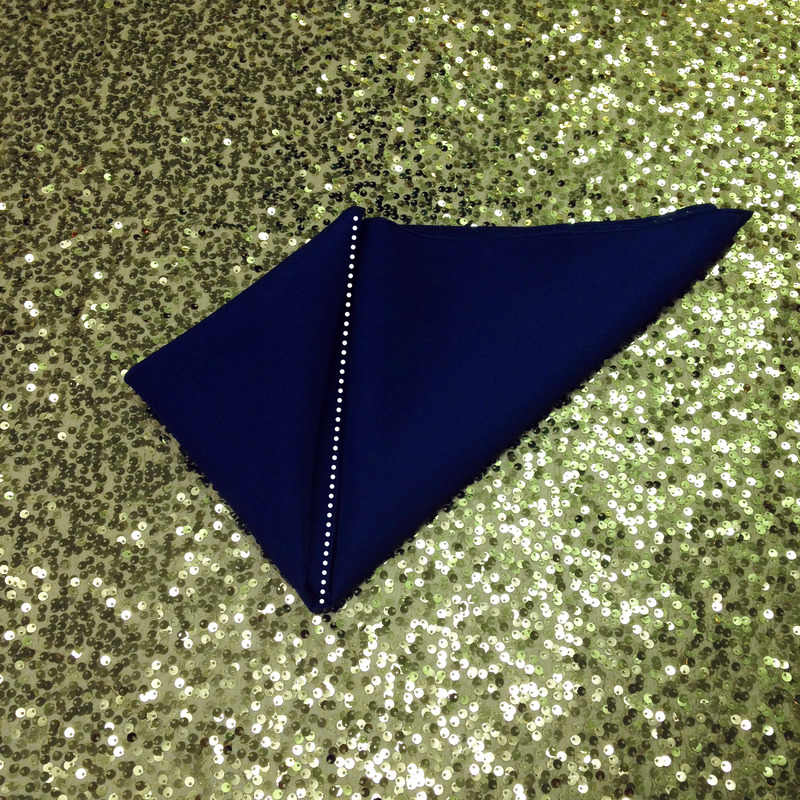 In these photos we used the Navy Solid Polyester (below this first image we have more detailed instructions). 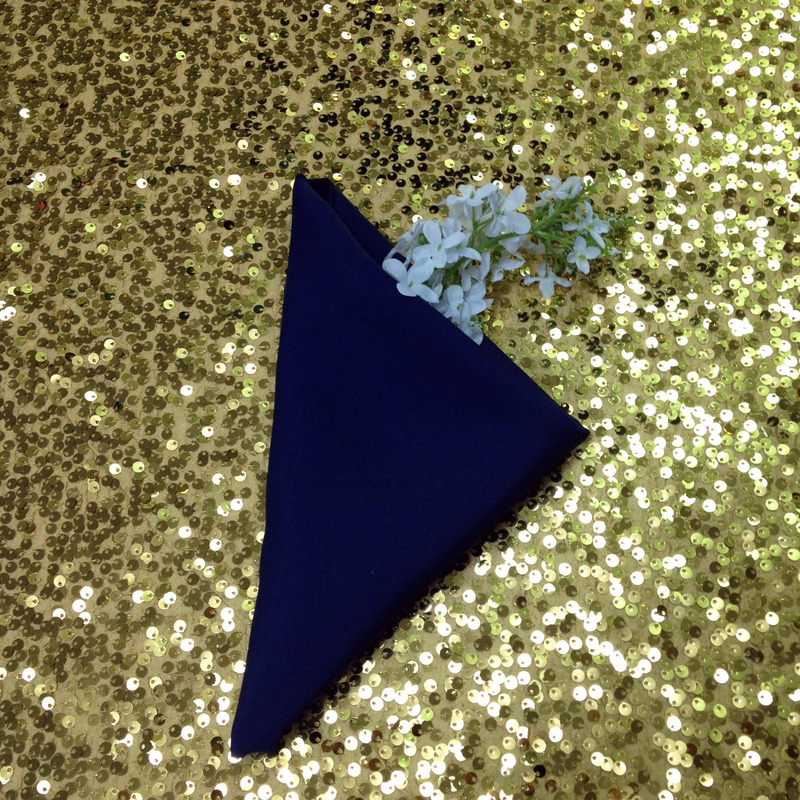 Like we said above, the pocket can be used in many different ways – flowers, silverware, menus, place cards, party favors, et cetera! 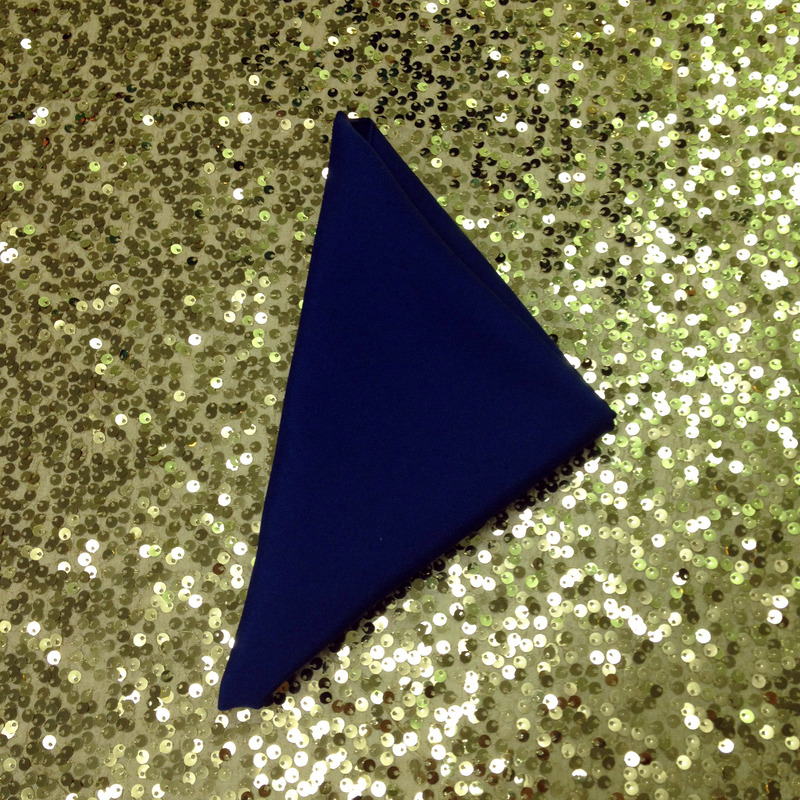 Place it on a charger and you’ll have a beautiful setting for any event.